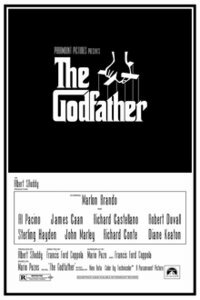 The Godfather is a 1972 American crime film In 1945, at his daughter Connie's wedding, Vito Corleone hears requests in his role as the Godfather, the Don of a New York crime family. Vito's youngest son, Michael, who was a Marine during World War II, introduces his girlfriend, Kay Adams, to his family at the reception. Johnny Fontane, a famous singer and Vito's godson, seeks Vito's help in securing a movie role; Vito dispatches his consigliere, Tom Hagen, to Los Angeles to persuade studio head Jack Woltz to give Johnny the part. Woltz refuses until he wakes up in bed with the severed head of his prized stallion. • NETFLIX: What's coming and going from Netflix in January 2018? This webpage uses material from the Wikipedia article "The_Godfather" and is licensed under the GNU Free Documentation License. Reality TV World is not responsible for any errors or omissions the Wikipedia article may contain.